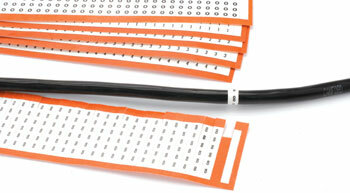 Numbered cable markers for general use, printed black on white background. 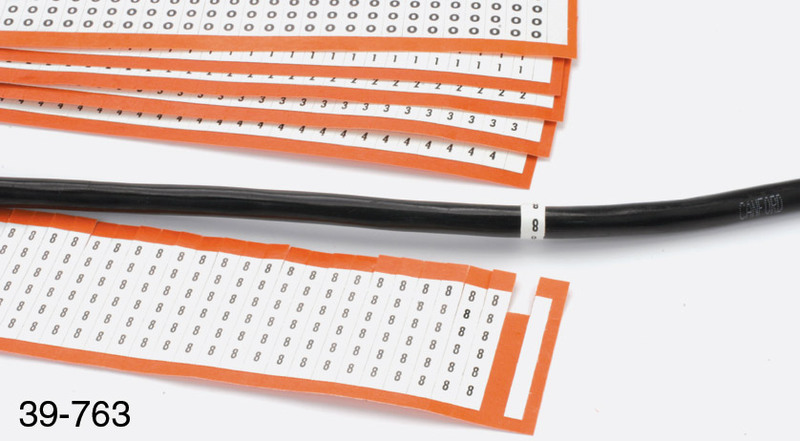 They are in strip form to wrap round cables, in two types – size 38 mm long for cables up to 12 mm o.d., and size 19 mm long for cable up to 6mm o.d. They are supplied on cards, and have a break-off tab, which ensures that the adhesive does not have to be touched and that they come off the card easily. 380 - 389: Size 38, 37 strips per card, of a single digit – 0, 1 etc.